On July 27 and 28, 2017, Google held its first Google for Nigeria event. It was a time of many firsts, as the CEO, Sundar Pichai, would be visiting Nigeria for the first time ever. The first day of the two-day event sees Google make product announcements plus a publisher masterclass. While the second day is for other product masterclasses and serving digital experiences. At the keynote event, they announced the launch of their Go product suite; YouTube Go stood out. They also announced Street View in Lagos and a “Posts on Google” feature on the Search page. GBoard support for the three major languages in Nigeria and the launch of Freetel ICE 2 smartphone were also announced. 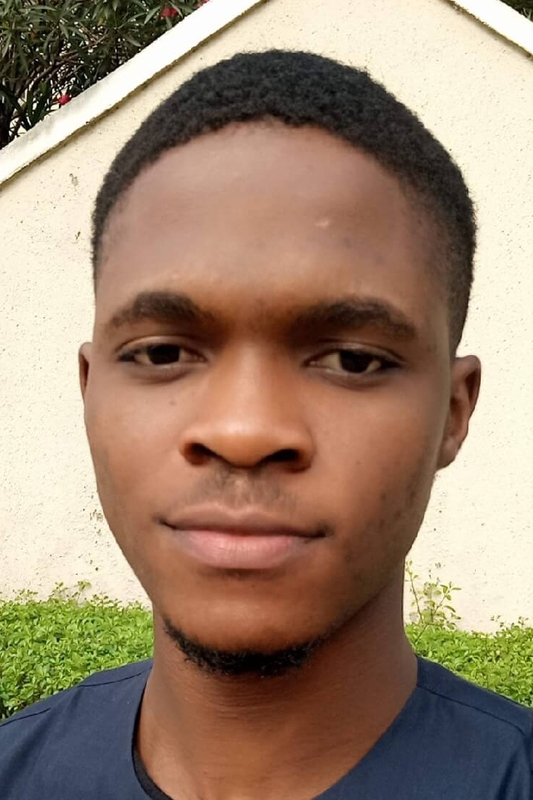 Mark Angel Comedy was presented with an award for being the first Nigerian Youtuber to surpass one-million subscribers. Topics like “Naira”, “Runtown – Mad Over You” and “Anthony Joshua” emerged as the three most popular search terms in Nigeria in 2017. This year's event ran from July 26 to July 27 at the Landmark Event Centre in Victoria Island, Lagos. You must have observed that Google likes to do their events towards the end of the week. They use the earlier parts of the week for influencer dinners and artsy events promoting the culture of their host nation. Following the success of last year's event, they encountered an overflow of attendees this year. Even as tech enthusiasts, influencers, and students crowded the registration point on the first day. #GoogleforNigeria 2018 is the most poorly planned event I've been to in years. The event planner need to do a full refund, and Google needs to apologise for this absolute fiasco. Google and its partners should have foreseen the massive attendance and prepared adequately for it. Could it be that after their first event last year, they got complacent? However, on Friday, July 27, there was better coordination but fewer people came. The first day's experience must have dissuaded many from returning the next day. Or they just weren't as concerned about the YouTube masterclass and the digital experiences on display at the Digital Playground. Although the Google CEO wasn’t in attendance this time, his able lieutenants were present. 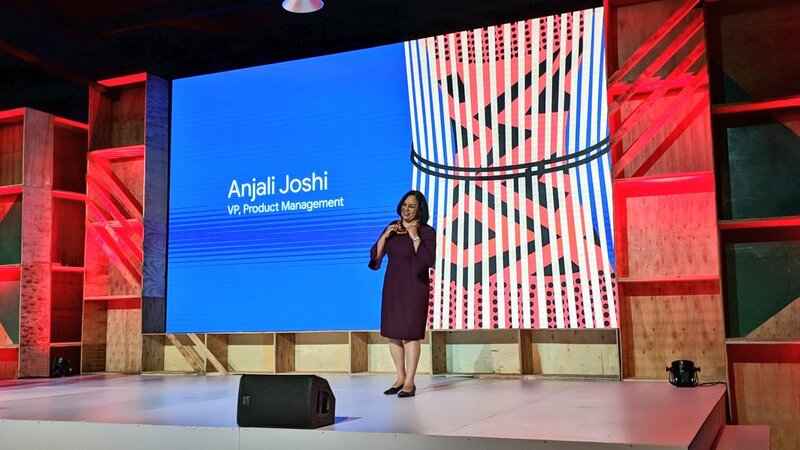 They include top executives like Anjali Joshi, VP Product management, Jay Akkad, Group Product Manager for YouTube, Marvin Chow, VP Product Marketing and of course, the Country Director, Juliet Ehimuan-Chiazor. Google's digital playground reeked "Nigerianness", as there was no shortage of Ankara-laid designs. Some of the very notable products on display include text-to-speech improvements to Google Go, Job search on Google, Google Arts and Culture that helps users with colour combination and artistic inspiration and Quick Draw, an AI experiment that guesses what users draw. Then, my personal favourite the Street View Trekker, the technology that enabled Google to execute 360-degree panoramas on Google Maps in some of the remotest areas. It is a wearable backpack that has 15 camera lenses, weighs about 40 lb, and takes pictures every 2.5 seconds. 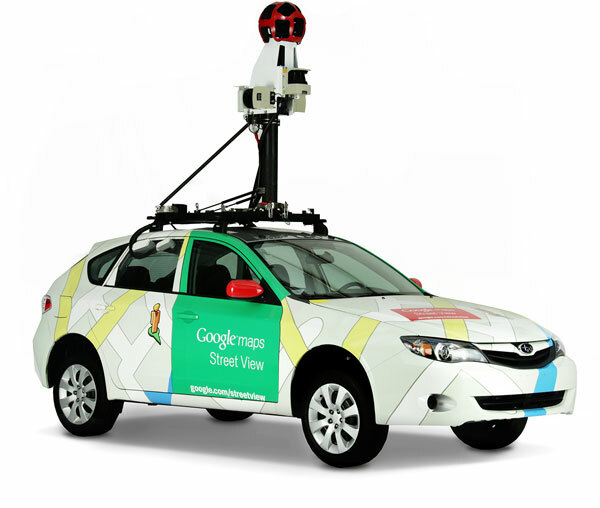 Before now (circa 2007), Google's Street View project was carried out with a car. But a car is limited in accessibility and that's why they implemented a Trekker. In other countries, they also have a Trolley, SnowMobile and a Trike. Apply to become the next Street View Trekker. They could loan you the backpack or an app-compatible 360 camera. Many places in Lagos can be viewed in 360-mode via the Street View feature on Google Maps. Following the success of the project in Lagos, StreetView’s Discover Nigeria gallery has been expanded to include more tourist attractions like the National Museum in Lagos, Olumo Rock in Abeokuta, Millenium Park in Abuja, and Lekki Conservation Centre. As a natural progression, we expect kids of the future to go on Virtual-reality Excursions where from the comfort of a class in Lagos, they'll explore Olumo Rock in Abeokuta, Ogun State. Just like last year, Google released a list of top ten searches in Nigeria for 2018. Disclaimer: It is pertinent to note that any insight coming from a company is limited to the company's reach and should not be taken as the truest picture of what's obtainable on the whole. Therefore, it is possible that while Google's Search users searched for Wizkid's Soco a lot, non-users of Google (like users of Yahoo! and Bing) probably didn't. It then becomes a question of Market Share. How many data points are Google polling from that will make such inference truly reflective of the Nigerian search terrain? Recent data from StatCounter reveals that Google's browser – Chrome has a market share of 37.19% and we know the search engine in use there is Google's Search. Plus the default search engine on Opera (40.16% market share) is Google's Search. Making a provision for 7% of the total number to change their default search engine we are left with 70%. Therefore, it is safe to conclude that Google's Search-term rankings for Nigeria are the most representative available. And could reflect the interest of Nigerians for that given period of time. With that in mind, concerned Nigerians wonder who should be blamed for the depth of interest in what they call "trivialities". Clearly shows why we are where we are as a Nation. Not a single keyword representing intellectual property development. What more evidence do you need to serve as proof that we spend more time on trivialities rather than building up the IQ. We're neck deep in hot water honestly. So, we'll leave this up to our readers to have their go at this. What do you make of the trending searches on Google? The highlight of this year’s event was the launch of Google Station in Nigeria. It launched in partnership with 21st Century Technologies, a Nigerian fibre network provider. Previously, Google Station had launched in India (2016), Indonesia (2017), and in Thailand and Mexico (2018). Working in six locations in Lagos already; Google Station will also be launched in Kaduna, Oyo, Rivers, Enugu and the FCT, Abuja. 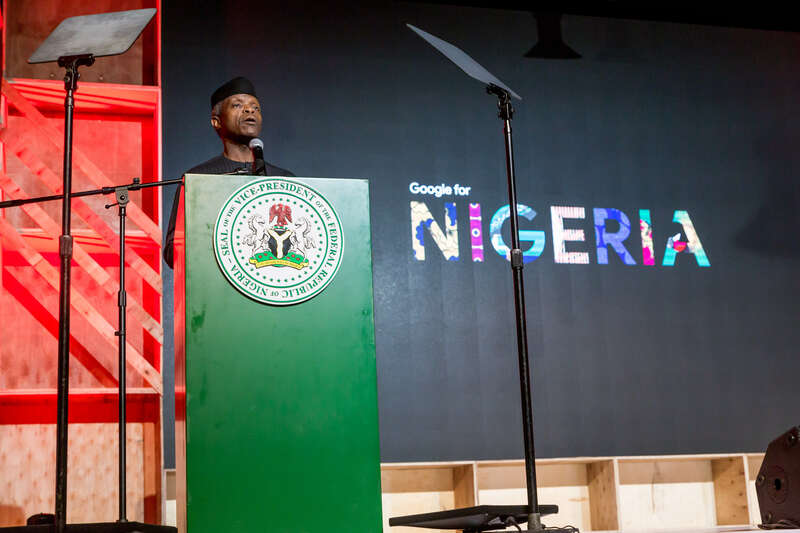 The launch of Google Station was also included in the speech of the Vice President of Nigeria, Prof. Yemi Osinbajo. He addressed the audience on how their administration is working to create and enhance a digital economy (we covered this in-depth here). These are the days leading up to the next election, we expect a lot of "optics" from the incumbent Government. But we move! In his address, he acknowledged that Nigeria would need internet, and indeed mobile telephony to train her teeming 200 million young citizens by 2045. "So without connectivity, the development trajectory of our nation and continent is truncated", the VP said. "Indeed every step that is taken to democratize technology is a quantum leap in the African development story and a major global stability and growth. This is why the launch of Google Station here in Nigeria, is an enormously significant event. ", he added. The submission of the erudite political leader negates the actions of their government. An apposite case was the design of Nigeria's air logo done by a Bahrain company – FROM6 Communications. This discovery generated backlash on social media. 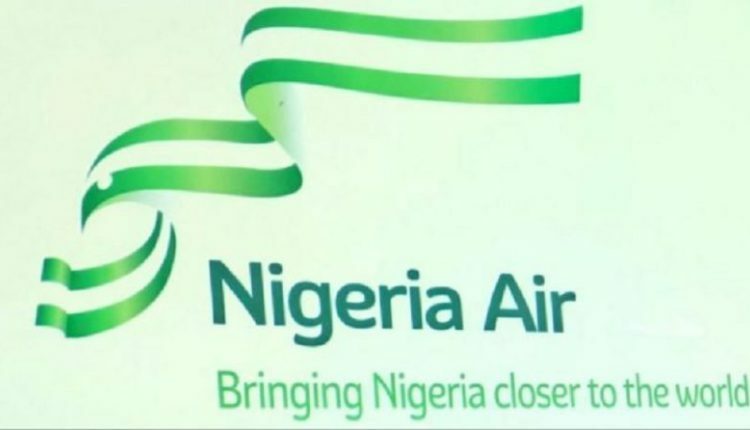 The Nigeria Air logo was designed by a company based in Bahrain. Logo, ordinary logo, was outsourced. Yet, VP @ProfOsinbajo keep launching ICT hubs on TV. One would expect that with all the Government's talk on ICT, tech ecosystem development, "Buy Naija to go the naira", they'll find a worthy Nigerian company to award the project. Nigeria Air Logo was actually designed by an agency in Bahrain even smaller than mine ...😳 ... I hate this Nigerian government I swear ... true true ... I pray this project fails! Again, it all boils down to OPTICS. Lol. Could not find a Logo designer in Nigeria so used a Bahrain company. Lol. But the VP will visit Silicon Valley again next year and commission ‘startups’. Loool. Although FROM6 Communications came out to say it worked with a Nigerian marketing agency Image & Time, it still doesn't change the fact that Nigerian creatives could have done an excellent job at representing the new national carrier. Why do you keep launching tech hubs and supporting student innovation challenge if you will outsource the design of a logo? In line with Google’s primary business model, a key element of the “fast Wi-Fi for everyone” platform – is monetisation through advertisement. Google, while launching it in India, said it will explore other revenue models later on. But currently, Google Station is offered free of charge – looking to survive on ads revenue. Therefore, Nigerians shouldn’t make this nirvana of free Wi-Fi a permanent resting place. 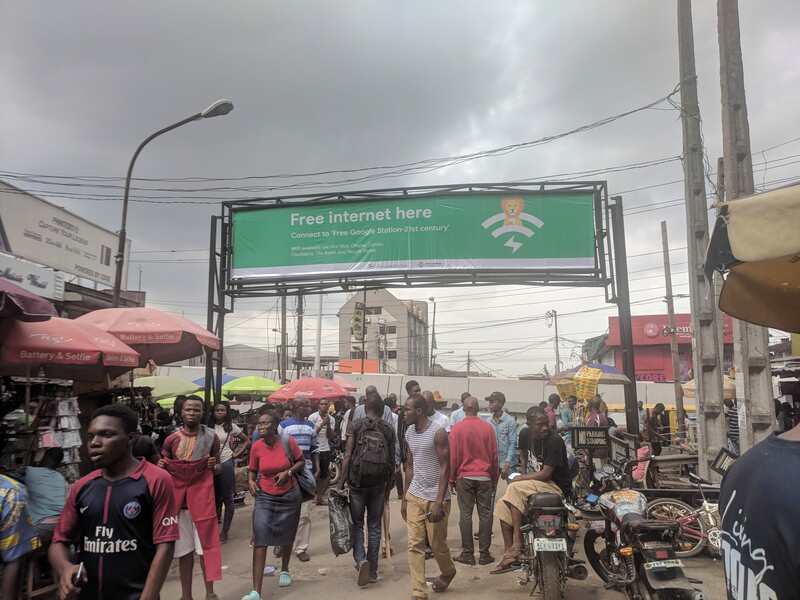 While Google might be the first to launch free “unlimited” Wi-Fi in Nigeria, its “fast Wi-Fi for everyone” initiative isn’t. In 2013, Facebook’s CEO, Mark Zuckerberg, partnered with six companies: Samsung, Ericson, MediaTek, Opera Software, Nokia, and Qualcomm, to launch internet.org. The program sought to bring fast and affordable internet to developing countries. But one of its services – Free Basics, has been criticised on the basis of net neutrality because it makes only limited services accessible, and excludes direct and indirect Facebook competitors. As such, the Telecomm Regulatory Authority of India (TRAI) banned it from India in 2016. But the program continues in other countries. In partnership with Airtel, Free Basics was launched in Nigeria in May 2016. And it has an app on the Android Play Store. Riding on the success of Free Basics, and possibly to shred the argument of net neutrality, Facebook launched Express Wi-Fi. Unlike Free Basics, it offers full access to the web but at a price – an affordable one. As low as N40/N50 for 100 MB. You even get a free trial window. Facebook partnered with Coolinks.ng in 2016, and Tizeti, the parent company of wifi.com.ng, in 2017 to launch Express Wi-Fi in Lagos. The program also has an app on the Android Play Store. SWIFT networks, a Lagos-based Internet Service Provider (ISP), followed suit in 2018 with RED CHEETAH. It offers free internet capped at 1GB daily at selected locations across Lagos. I usually enjoy the service any time I visit Tastee Fried Chicken. The ISP recently purchased Chromecom Ltd. to expand its 4G LTE service to Abuja and Port Harcourt, hopefully, RED CHEETAH, too. Note, RED CHEETAH uses Google Station's model – monetisation through advertisement. Beyond the general positives of improved internet access, development of ICT, and support for entrepreneurial effort by this altruistic initiative, I’m concerned with its latent negatives – misappropriation of users' data. There is a rule in tech that states that if a product is free then you are the product. We've found this to be true with Facebook and look where it has landed us, Cambridge Analytica. Which way forward, Nigerians and her lawmakers? TRAI has set a good example by banning Free Basics in India. The European Union (EU) did better with the General Data Protection Regulation (GDPR). The GDPR took effect May 25, 2018. And its intendment is to protect and empower all EU citizens and ensure organisations within (and without) the region takes data privacy seriously. The African Union should pursue such policy as well. Same way it is pursuing the African Continental Free Trade Agreement (AfCFTA). The Federal Government should enact rules such as fair use of data policy. We understand that for this to make business sense to Google (or any other entrant), they need to be able to analyse user data and behaviours that can then be sold. Especially when it comes to Personally Identifiable Information (PII) a fair use of data policy would mean that the company has to give a Privacy Notice. The Notice should detail how Google gathers and uses personal data about individuals on their free network. Also, the government would need to provide the infrastructure to sustain this program. We foresee overcrowded bus-stops, airports, and malls because people are using free Wi-Fi. And with it the concomitant effects of stealing, and spread of communicable disease. Thus, good power supply, security, and other social amenities are the least the government can provide. Furthermore, Nigerian ISPs and Telecoms should partner with these tech giants – Facebook and Google – to improve their internet service. The fast and affordable internet Express Wi-Fi delivers is something all Nigerians deserve. Finally, these are good times for Nigerians. Internet users now have a plethora of options to choose from. And those who don’t mind trading their PII for free Wi-Fi can find solace in Google Station, Free Basics, and RED CHEETAH.